Therefore, players generally decide who will get to be white by chance or luck such as flipping a coin or having one player guess the color of the hidden pawn in the other player’s hand. White then makes a move, followed by black, then white again, then black and so on until the end of the game. 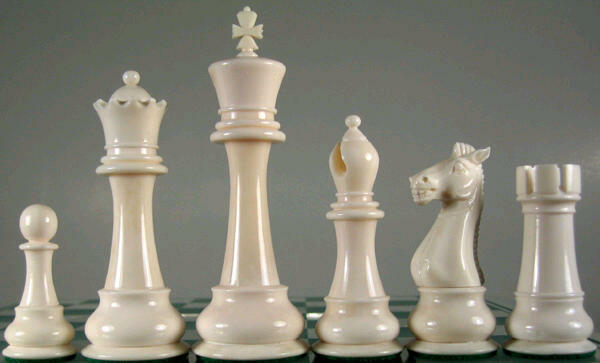 The king is the most important piece, but is one of the weakest. The king can only move one square in any direction – up, down, to the sides, and diagonally. The queen is the most powerful piece. She can move in any one straight direction – forward, backward, sideways, or diagonally – as far as possible as long as she does not move through any of her own pieces. 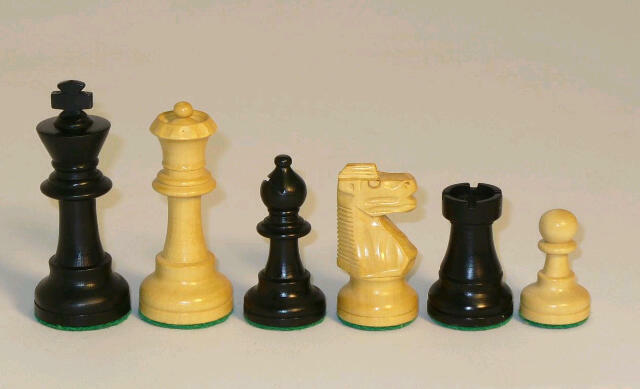 And, like with all pieces, if the queen captures an opponent’s piece her move is over. 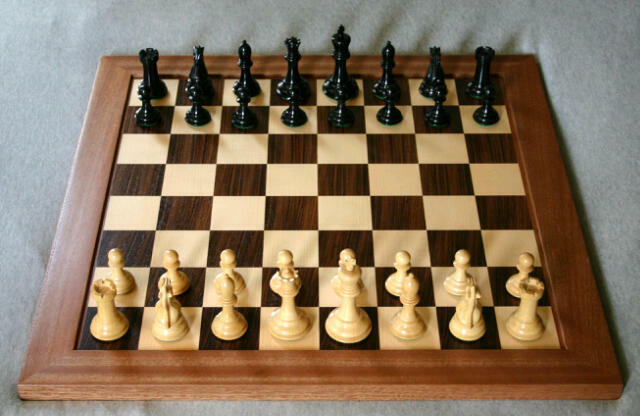 The last rule about pawns is called “en passant,” which is French for “in passing”. If a pawn moves out two squares on its first move, and by doing so lands to the side of an opponent’s pawn (effectively jumping past the other pawn’s ability to capture it), that other pawn has the option of capturing the first pawn as it passes by. This special move must be done immediately after the first pawn has moved past, otherwise the option to capture it is no longer available. Notice that when you castle one direction the king is closer to the side of the board. That is called castling kingside. Castling to the other side, through where the queen sat, is called castling queenside. Regardless of which side, the king always moves only two squares when castling. Moreover, chess is a mirror of life, rich in metaphors for human experience. It is a pitched battle to the finish between opposing armies, yet completely non-violent, with no injuries ever reported from playing. It is a testing ground where we can experiment and act out personal dramas with no consequences other than wiping the board clean and starting over. A blend of primitive instinct and sophisticated calculation, it lets a player directly engage the mind of another human being—learning from experience, memorizing common patterns, methodically building a position, setting traps, analyzing variations, and finally moving in for the kill. And it is a canvas whereupon great players create masterpieces, like famous paintings, that can be enjoyed by generations to come. Here are a few things I’ve learned about life by playing chess. 1. Women are powerful, men are essential. The queen is the most powerful piece on the board, the king by contrast is plodding and slow. Yet the game can continue for dozens of moves after the queens are off the board—but once the king dies, the game ends. As in real life, women are often the centers of attention with their dazzle and flash and drama, but in the end, it is individual male leadership that decides the outcome. 2. The threat is stronger than the execution. This is a common saying among chess players. The idea is that by threatening an action, you can nudge your opponent in a certain direction, but actually carrying out the threat may cause as many problems for you as for your opponent. The parallels with human relationships are evident. 3. Chess is 99% tactics. Another favorite maxim. While carrying out long-term plans, you have to constantly be on the alert for immediate dangers or opportunities that can radically change the game. You may become a master player, build a strong career, and have a solid physique, but if a moment’s inattention causes you to swerve into the oncoming lane on the way home, it may be all for naught. 4. Different phases of the game require different skills. It took me a long time to realize that chess is really three separate games—with common tactical themes and goals, to be sure, but requiring very different skill sets overall. The opening requires a lot of experience with common strategic and tactical themes, and yes, quite a bit of memorization. The middle game involves imagination and creative risk-taking. And the endgame demands exactitude and mathematical calculation. 5. Latent talent in ordinary people can become obvious after years of hard work. 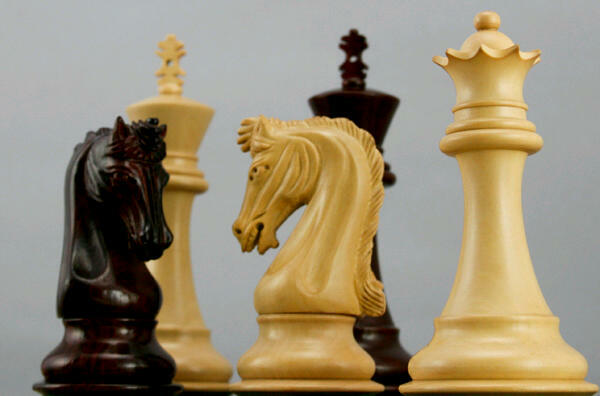 Pawn promotion can be seen as a metaphor for the way in which ordinary people sometimes have unusual talents that only become apparent to others after years of diligent effort. A cliché in sports, this principle applies equally in chess. Even if all you want is a draw, playing passively is seldom effective against a strong opponent. You must actively work to keep the other player off-balance and create “counterplay” to distract him from his attacking plans. 7. A weakness is not a weakness unless it can be attacked. Another way of saying, perhaps, that your limitations are self-imposed, and that something you perceive as a weakness on your part may be completely irrelevant in a given context. Thus, fixing your inner game—eliminating psychological insecurities—may be more important than addressing the weakness itself. Culled from Cheese board online and Spanier, a middle-aged management consultant who dreams of escaping the rat race and starting a new civilization.